Dr. Leslie Bernstein, professor and director of the Division of Biomarkers of Early Detection and Prevention at City of Hope, and her colleagues have found that as little as 81 mg of aspirin can reduce the risk of breast cancer in women. "The study found an interesting protective association between low-dose aspirin and breast cancer," said lead author Dr. Christina A. Clarke. The study analyzed questionnaire responses from over 57,000 women who took part in the California’s Teacher’s Study in 2005. Participants were asked to answer questions about any family history with cancer or other medical conditions and record their own use of nonsteroidal anti-inflammatory drugs (NSAIDS) like aspirin. They found that by 2013, 1,457 of the respondents had developed invasive breast cancer, but those who used low-dose aspirin at least three times per week were shown to have a 16% lower overall risk of the disease. Interestingly, the findings showed that taking other pain medications, or even larger doses of aspirin, did not meet with the same results. “We did not by and large find associations with the other pain medications like ibuprofen and acetaminophen. We also did not find associations with regular aspirin since this type of medication is taken sporadically for headaches or other pain, and not daily for prevention of cardiovascular disease," said Clarke. So, what is it about low doses of aspirin that helped protect these women from breast cancer? Bernstein explains that the drug can act as a weak aromatase inhibitor that helps reduce the amount of estrogen in the blood. 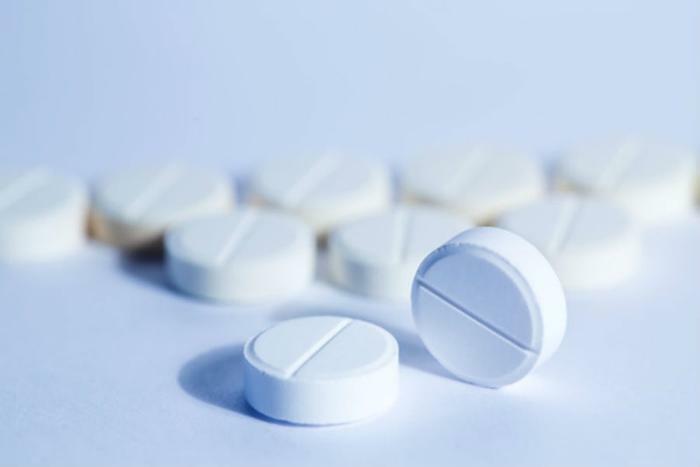 "We thought that if aspirin can inhibit aromatase, it ought to reduce the likelihood that breast cancer would develop and it could also be an effective way to improve breast cancer patients' prognosis once they no longer take the more potent aromatase inhibitors. . . Aspirin also reduces inflammation, which may be another mechanism by which aspirin taken regularly can lower risk of breast cancer developing or recurring," she said. “Now that we have some data separating low-dose from higher-dose aspirin, more detailed research can be undertaken to understand the full value of low-dose aspirin for breast cancer prevention," added Clarke. The full study has been published in Breast Cancer Research.